Regular Jam Session Red Lion Dyserth North Wales - Now the Good News.... Rockytop have announced. 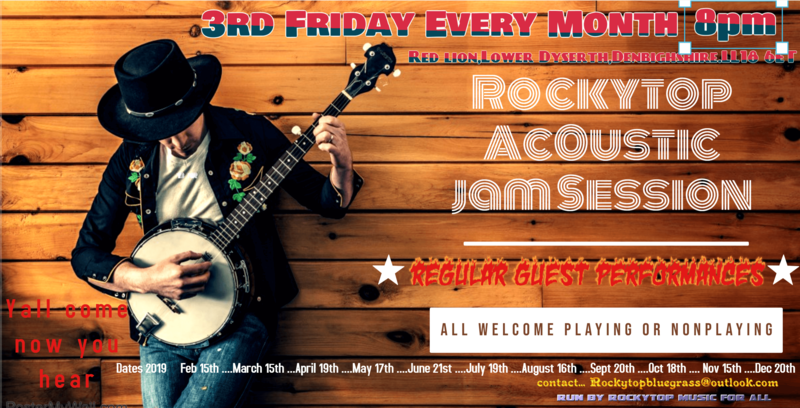 There will be a Jam session the 3rd Friday 8pm every mth in 2019 held at The Red Lion, Lower Dyserth, Denbighshire. LL18 6ET Regular Special Guest spots are promised. Please come along and support this event and help it to get on the map. Contact Rockytopbluegrass@outlook.com for guest spots. We look forward to seeing everybody there.